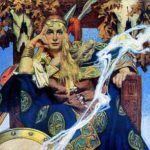 Story Archaeology | Uncovering the layers of Irish Mythology through a regular podcast and related articles. 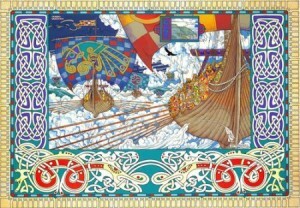 Medb, Queen of Connacht, is rightly renowned in Irish legend and mythology, as a strong and influential woman leader. Her centre of power, Cruachan Ai, is still recognised as one of the most important Iron-age sites in Ireland. Medb lead her people in her own name and by her own right. She was a strong woman in a society largely dominated by strong men. She fought hard to maintain the high status of her rule throughout her long life but the choices she made, as always happens, had consequences. 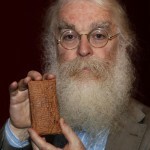 This audio-article endeavours to discover some something of Medb the woman, as she can be found in the old Irish texts? What choices did she have to make to protect her land and people and how did she come to terms with the consequences of those choices? It is an interesting story. I haven’t listened to them for years but tracks like ‘October Song‘, The ‘Dancing of the Lord of Weir‘, and ‘Seasons they Change‘, yes, especially that one stays with me. I saw them many times but, later, after they went their own ways continued to follow Robin’s work as a story teller. I think the last time I saw him perform was in the old chapel at Markree castle, near Sligo. Funny enough I have given a story telling evening there myself now. I thought I might share the track with any listeners not familiar with it. 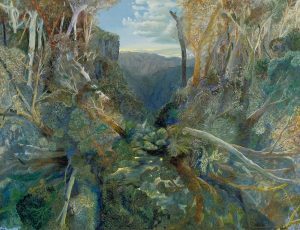 Join Chris Thompson as she takes a story-teller’s view of the old Irish stories. Who told the and why were they so memorable. In this audio article, Chris celebrates the old stories and explores the challenges in telling them today. For those who have asked me for ideas and advice on story telling generally, I am going to be devoting a section of my upcoming Patreon site ‘Sinann’s Well’ to this subject. While there are a great many experts who can illuminate this eclectic discipline. I have found the writing of John Miles Foley comprehensive and enjoyably helpful. I also appreciate the manner in which he takes account of the revitalizing effect of the internet on oral story telling. Professor Foley was the founder of the academic journal Oral Tradition and the Center for Studies in Oral Tradition at the University of Missouri, where he was Curators’ Professor of Classical Studies and English . I have added a link to the UK Amazon page listing a few a selection of his works but they tend to be somewhat difficult to find. Our American listeners, I suspect, would have less of a problem. His books do offer a comprehensive and modern approach to Oral Tradition Theory. For those of you who enjoy audio books.I would highly recommend, The Modern Scholar: Singers and Tales: Oral Tradition and the Roots of Literature By: Professor Michael D. C. Drout. Miichael Drout, who studied under Professor Foley, Professor of English and Director of the Center for the Study of the Medieval at . He is an author and specialising in Anglo Saxon, medieval literature, fantasy and science fiction. This is an enjoyable and easy-to-follow introduction to the history and development of Oral Tradition Theory and offers a fascinating insight into how story telling functions within diverse societies. I listen to the book over and over again, just because I enjoy it. It is not too long, either. Nothing to do with Oral Tradition theory, or, indeed, with the early Irish tales, I am still going to recommend this book in connection with the current topic. This tells how a story, now known, only from the careful translation of long-lost Cuneiform clay tablets, has continued to retain so much information,. Irving Finkel, does not just plot the meandering, ever changing and adapting, course of a story, still known and loved today, but he throws a fascinating light on the world where this story may have been first told. He even identifies performative elements, still recognisable. 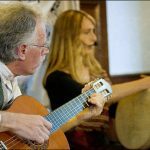 I have been meaning to put up a post recommending the musician whose composition ‘The Tamlin Jig’ has opened and closed Story Archaeology posts since the beginning. Isolde and I met Gian living in Drumshanbo, a few km from us, about the time we were first setting up the podcast. We were impressed with his music and delighted when he gave us permission to use selectios on the podcast. 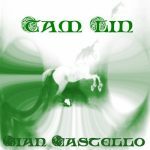 Gian Castello studied Irish flute with various Irish teachers (John Lee, Donegal, and legendary Micho Russell, Clare). He has produced four concept albums (“Merlin the Enchanter”, “Taliesin”, “The Secret Kingdoms”, “Rama, the primordial Druid”), one CD (“The Stone in the Field”) with the English harper Steve Haggerty and “To Drive the Cold Winter Away”, Italian/Irish production. 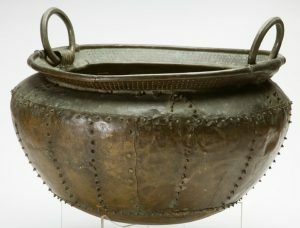 In the audio article ‘The Dadga’s Cauldron’ I was speculating, in a somewhat lighthearted moment, that the transformative element of the Dagda’s wonderful cooking pot from which no-one went away unsatisfied might have been connected to memories of early fermentation processes, i.e. the brewing of beer. There has been plenty of evidence for feasting at midwinter in Neolithic times, and earlier. 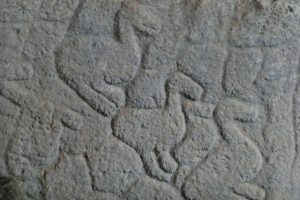 The excavations at Durrington Walls, (near Stonehenge), England, have provided plentiful evidence for mid-winter pig roasts for a start. Maybe they also had beer to wash it down. It is hardly surprising that the brewing of alcohol, especially simple beers was a skill that an early ‘art’. It has been said that the pyramids in ancient Egypt were built on beer, the mainstay of the willing and skilled workers was largely quid bread. However, in recent years archaeologists have been coming to the realisation that the brewing of beer may have been one of the kick starters that began the long and on-going process leading to the cultivation of crops and domestication of animals. It is not hard to imagine that if places were needed for hunter-gathers to meet, trade, celebrate, then exchange and sharing of ideas and stories might have been smoothed and encouraged by the availability of a safe (safer than water) and nourishing drink with pleasant additional effects. It is also possible to speculate that the groups of people responsible for gathering and processing the wild grain might have soon realised that settling down close to these celebratory enclosures, perhaps even planting the grain where they needed it would saved a lot of time and effort. They might have even discovered that the left-over mash was a suitable feed for cattle. Hmm! now they would be able to offer meat, cheese, milk and beer without hunting or gathering themselves. And so it all began! I kind of like the idea that the first people might have settled in order to provide celebratory parties rather than to create spaces where people might gather merely to placate gods. 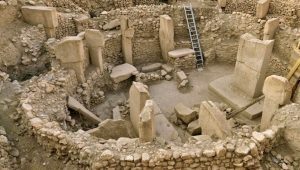 There is evidence that the enclosures at Gobekli Tepe, in Eastern Turkey which date from Mesolithic times, provided beer for their visitors. This site is astonishing. I visited it a few years ago while Klaus Schmidt was still alive. I have included a few pictures below. They are not all mine. They were just creating a wooden cover at the time. It was hard to get good photos. I have also included a couple of excellent articles, about the site including one which refers to the evidence for beer production. A few years ago, I remember Isolde and I discussing the possibility of the Dagda’ cauldron as a leather bag used for brewing beer, a genuine ‘Santa sack’ indeed. However, since then I read about a couple of Irish experimental archaeologists, Billy Quinn and Declan Moore, from Galway, who were already on the case. 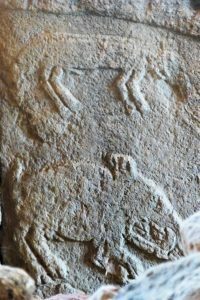 They had been speculating that the commonly found ‘Fulacht Fiadh’ field monuments could have been ideal for beer brewing. You can read about their findings through the link below. Now I am a wimp and a lightweight when it comes to alcohol but I think I could manage to open a good Irish craft beer this Solstice and raise a toast to the Dagda and his Cauldron of Abundance! The Dagda with his cauldron of abundance, from which none leave unsatisfied, epitomises the deep and ancient yearning we feel for mid-winter indulgence and good company. It may be that the cauldron had more to offer than just a solid meal. Join Chris, from the Story Archaeologists, as she dips into this extravagant cooking pot. 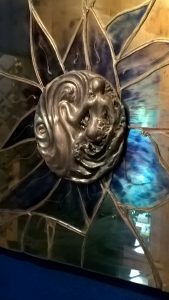 This audio article is based on a piece published in the new book Harp, Club and Cauldron: A harvest of Knowledge published by Eel and Otter Press. It is an entrancing and informative anthology, well worth adding to your physical or digital library and the Story Archaeologists were proud to be asked to offer three articles to the book. 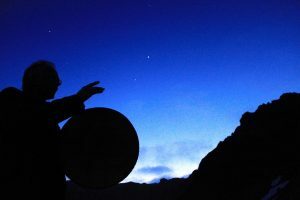 I will be adding further picture articles connected to The Dagda’s Cauldron article: . 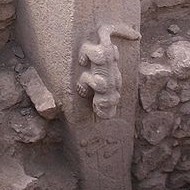 (Images of Gobekli Tepe and information on recent Iron age Feasting finds), shortly. 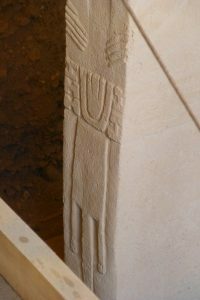 Addendum: I haven’t checked but I think I referred to the German archaeologist who was responsible for the dig at Gobekli Tepe, for so many years, as ‘George’ rather than ‘Klaus’ Schmidt. I can’t imagine why I said that. Klaus Schmidt sadly died in 2014. We regularly receive questions from listeners and readers. We try to answer them as soon as we can but many are well worth exploring in more detail. Here we discuss just three. Firstly there is the problem of ‘coir’, a word that we use regularly in episodes to express an important but complex concept. Another term we frequently use is ‘poet’ to cover a number of similar roles in early Irish society. In this discussion, Isolde gets to explain about the many grades of poet that existed, File, Bards, and even Bramble Hounds! The third discussion concerns the thorny issue of who were the Celts, anyway. Join the Story Archaeologist as they enjoy teasing out a few possible answers. What did happen to Midir? Why does he appear in so few stories? It is a mystery. A murder mystery? Could be. Certainly Midir’s reputation was usurped and he, himself, seems to have been, effectively, ‘disappeared! This short recording was originally made for an on-line conference hosted by Vyviane Armstrong. The weekend conference was entitled “Tuatha Dé Danann. Our Tribe and Theirs”. Some of you may have already heard this presentation but, for our other listeners, I thought I would upload the recording. 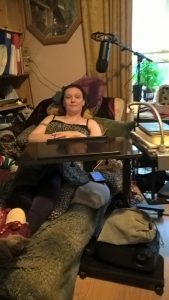 It is good to get Isolde back ‘on the mike’ and your donations have helped her to find new equipment that allow her to record lying down. We hope to record the promised, Q &A very soon. This was the seventh conference in the series ‘A Year With The Gods. There was a very interesting and varied programme and Isolde and I were delighted to be involved.’ If you would like to know more more about Vviane’s future events, do contact her for more details. So many of the old Irish stories tell of an Otherworld that lies so close to our own. If you want to discover what the stories have to say about getting there, what you might find when you arrive, and when, or if, you might return, then join Chris in this audio-article exploration. Apologies for the quality of recording in Isolde’s opening message. When we have fully implemented the new recording set-up, allowing effective recording while Isolde is lying down, it will be much improved. Links to podcast episodes referenced in this audio-article. And that picture of Niamh and Oisín in my bathroom?